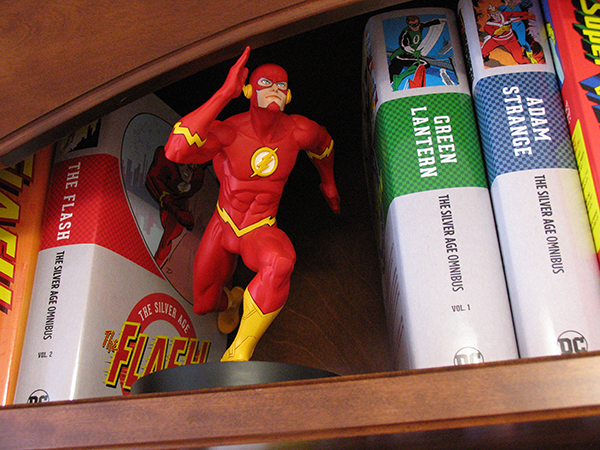 The newest item on the studio bookshelf is this Flash statue which arrived just before Christmas. It was a gift from Crankshaft artist Dan Davis. The man knows me too well. Just the thing to keep my Flash omnibus editions in check.